On August 3, 2018, Rosalie passed away peacefully at home surrounded by family. She fought a short but courageous battle against esophageal cancer. Having the support of family, Rosalie was granted her wish of being able to remain at home until her passing. 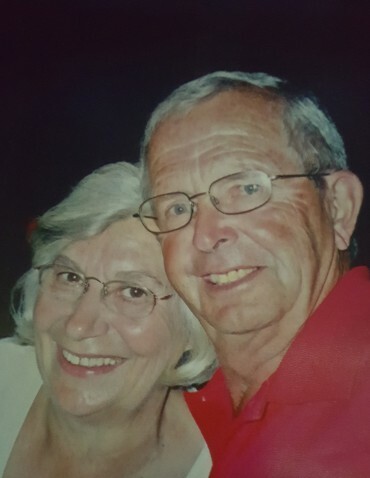 Rosalie will be greatly missed by her two children, Charlene (Ron) Kitaguchi of Hinton and Tom (Allison) Golder of Chetwynd, B.C., grandkids Lindsay (Jesse), Camden, Alisha (Jordan) and Colton, as well as great-grandkids Nova, Dominic and Easton. She is also survived by one sister Joanne (Dale) Stafford of Red Deer, niece Erin, nephews Ryan, Gregg, Brent, Jeff, Tyler and their families. There are also many family members and friends too numerous to mention. Rosalie was predeceased by her loving husband Elmer, grandson Scott, and sister Janet. Rosalie was born December 1940 in Lacombe. She received her teaching degree from the University of Alberta and went on to teach in Lacombe, Ponoka, Bentley and Hinton. She tried her hand at real estate and spent 9 years as a school board trustee for Grande Yellowhead School Div. She married Elmer in 1961 with kids to follow. She loved to golf, curl, downhill ski and chauffer her kids to all their various sporting events. In 1980, the family moved to Hinton where they resided to this day. After Elmer retired, they spent winters in Mazatlan where she enjoyed her time in the sun reading on the beach. Aside from Family, her passions were Education and Sewing. Rosalie was a very talented seamstress, sewing bridal gowns, denim jeans, and everything in between. A huge thank-you goes out to Dr. Button and the girls from Home Care in Hinton as well as the doctors and nursing staff at the CCI for excellent care received. A come-and-go celebration in Rosalie’s honour will be held at the Royal Canadian Legion, 5138 – 49 Street in Lacombe on Friday, August 24, 2018 from 1-4pm. In lieu of flowers, memorial donations in Rosalie’s honour may be made to Alberta Diabetes Foundation, Kidney Foundation of Edmonton, Stollery Children’s Hospital Foundation or Cross Cancer Institute Edmonton.